Delight your diners in a refreshing and original way with a starter or tapa. A homemade, original, creative and fun recipe that will make any restaurateur feel proud. Fry the garlic and a little chilli pepper without browning. Put to one side. Put a saucepan of water on to boil. When it boils, add the cod. Remove the cod when it returns to the boil. Boil the unpeeled potatoes whole. Mix all the ingredients together (Ken Cooking Cream, cod, potatoes, oil, garlic) and add a pinch of white pepper. 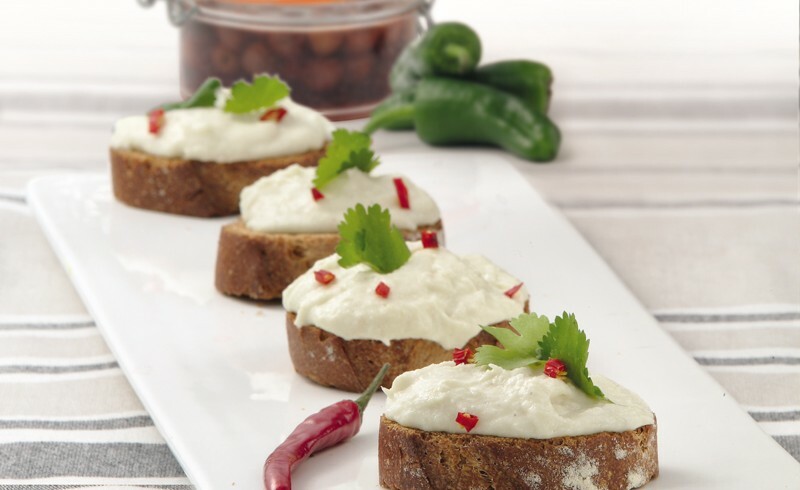 Plate up the mixture with toast and decorate with parsley or finely chopped chilli pepper. 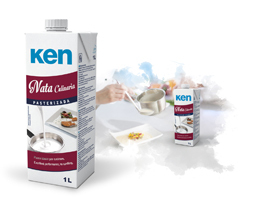 Our pasteurised Cooking Cream is the best option for meeting the needs of modern and traditional cuisine. Its low fat and cholesterol content make your recipes even lighter and healthier. Recommended for making sauces, creams, quiches, etc.